Hope all is well. A few notes before the Weekend Report. I’ve added a like feature and a rating system to the comments. Hopefully this helps reduce the bickering. Feel free to vote on things you appreciate and don’t appreciate. It’ll also show me what is “valued” content and what is not. As for previous post limit rule that keeps getting brought up. I do not have the time to count posts and scold people when they pass their post limit. I’m looking into some plugins to potentially help with that. The site will be evolving and changing and more features will be added as I have the time. For those of you who are attempting to use my father as a weapon against me you will be immediately banned if it happens again. I will say this one more time. Having the comments open does nothing for me, them remaining open is only for you who comment here. Keep that in mind when picking fights with each other or me. Be Kind and have a good week. Thanks to the OEW Group for providing this weekend report! This week was largely a consolidation period with most of the indices making marginal new highs in choppy trade. After a quick move down to 2881 on Monday morning, the SPX rallied to 2896 in the afternoon. Tuesday saw a gap down and the weekly low made in the afternoon at 2873. Price traded in range of 20 points on Wednesday and Thursday. On Friday, the SPX gapped up and rose to 2911 on earnings and merger news. The SPX closed the week at 2906. For the week, the SPX/Dow gained 0.3% and the NAS/NDX was up 0.6%. On the economic front, we saw an uptick in the NFIB Small Business Optimism Index, CPI, PPI and Core PPI. There were negative reports for factory orders, JOLTS – job openings, and the University of Michigan Sentiment Index. Next week’s report will highlight the Empire State Manufacturing report, industrial production, capacity utilization, retail sales, Fed’s Beige Book, and Leading Indicators. 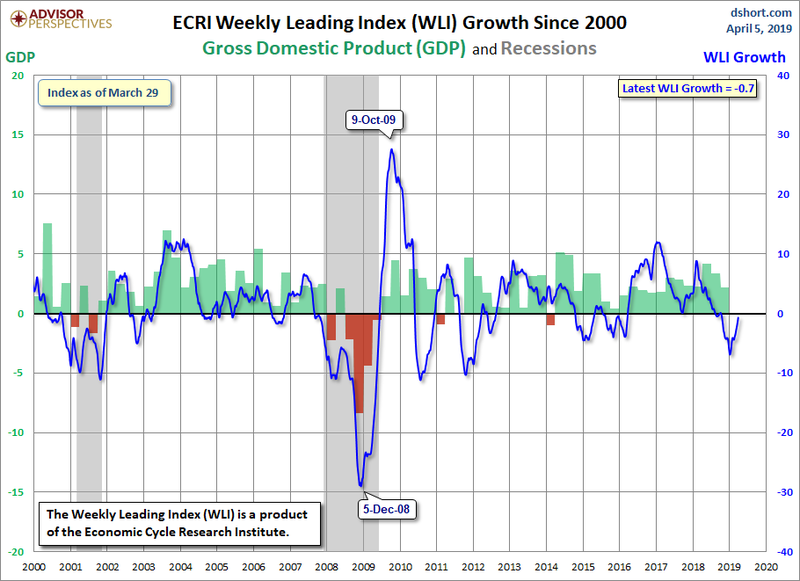 The ECRI Weekly Leading Index continues to improve to -0.7 (April 5th data). In the US, the long-term count remains unchanged with the Super Cycle SC2 low in March 2009. The Primary I high occurred in May 2015 and Primary II low in February 2016. Major wave 1 high occurred in October 2018 and Major wave 2 low in December 2018. Intermediate wave i of Major 3 is now underway. 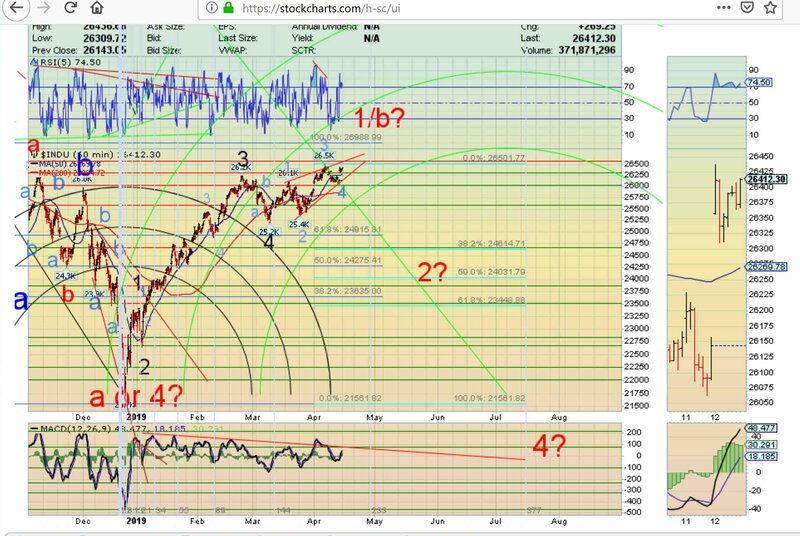 We maintain our SPX wave count with the Minor 1 top at 2817 and Minor 2 bottom at 2722 with Minor 3 underway. As expected, Minor 3 is subdividing with Minute i at 2852 and Minute ii at 2785 with Minute iii underway. Minor 3 will extend higher to all time highs in the coming weeks. We are counting the high at 2852 as Minute i and the low at 2785 as Minute ii. The rally off the Minute ii low also appears to be subdividing into Micro waves as shown on the 60-minute SPX chart with Micro 3 still underway. Short term support is at 2900 and the pivots of 2884 and 2858. Resistance is at the 2929 and 2995 pivots. Negative divergences exist on daily SPX charts. 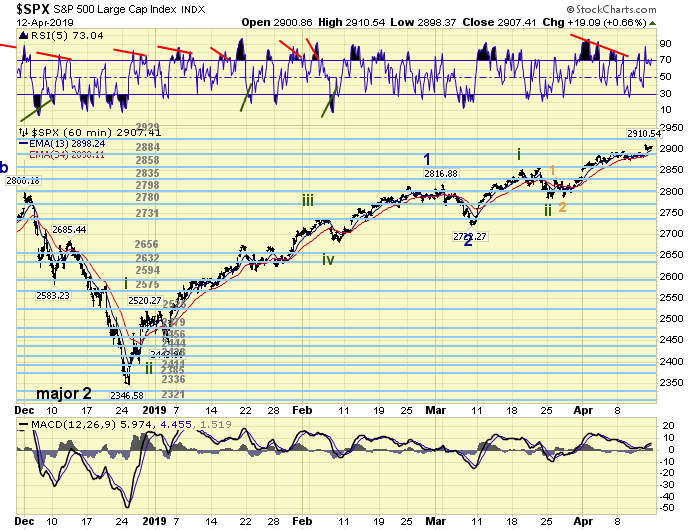 SPX hourly was reset with drop on Tuesday, when RSI moved below 30. Asian markets (using AAXJ as a proxy) were flat. European markets (using FEZ as a proxy) were up 0.9%. The DJ World index gained 0.4%, and the NYSE gained 0.3%. Bonds are in an uptrend and were flat. Crude oil remains in an uptrend and gained 0.8%. Gold is in a downtrend and was flat. Bitcoin is in an uptrend and gained 1.3%. The USD is in a downtrend and lost 0.2%. 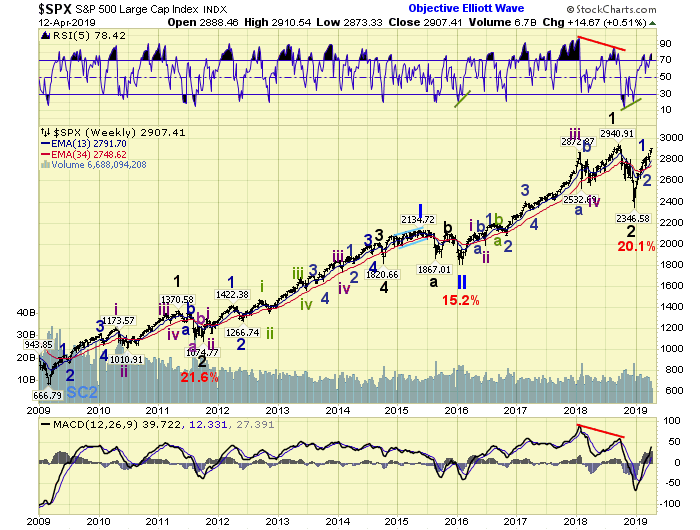 Thanks Christine & the OEW Group…the uptrend rolls on. 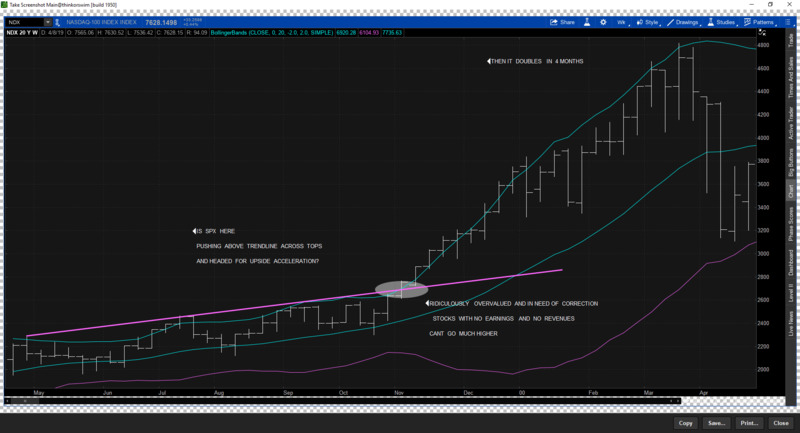 Has put a price target/timing for Major 3 out there (blog not the forums)? Like last week, I thought I remember seeing one, but haven’t been able to find it….might not be going back far enough. It is possible that we extend upward. Currently, $SPX has touched the uptrend line 7 times of what appears to be an Ending Diagonal (Strong Trend line). if we start to accelerate to the upside we could be in for a nice rally. Other than that, current market patterns lead me to be overly cautious here. I also found a crab pattern within the ED formation that would explain the 2910 pause. Crab patterns tend to have a 31.2 to 61.8 retracement. I will be out of town next week on business, so I am not sure if I will be able to post again. Good Luck to everybody’s trading. ED and crabs, doesn’t get much worse than that! Monthly spx macd lines are hocking, happy spring for holders. I suppose this is bullish…. Especially coming from a guy that said that rates were too LOW under Janet Yellen. Trump is talking his “book”, and hoping for another four years to do something more significant. Fact is, U.S. direct national debt at over $20Trilllion, is like a massive sea anchor on the economy. Doesn’t matter who, it could be Moses coming down from Mt. Sinai with the tablets for economic growth. Can’t do what was done before, in the 80’s and earlier. …and why not, the rich get richer….but wait…. housing becomes even more unaffordable, and this disparity will foment even more social unrest. What does it do to one’s soul coming from a well-paying job, stock options etc while turning away from the homeless living in tent cities. …and while I am on my high horse, there is no High Street anymore, nowhere to walk under shaded trees…folks who spent their lifetimes building up businesses, gone, replaced by boarded up shop fronts. Where is the sense of community. Relax. Stick to the markets. I like your rating system. It’s help to give credibility to each post and in the same time will discouraged the bad one. 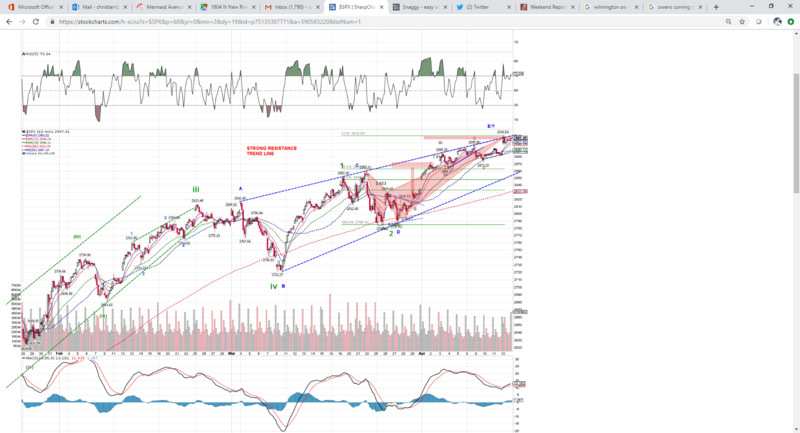 Not wanting to sound mean to the OEW team and other current bulls, but with so many nested 3s in your charts, shouldn’t SPX be exploding up? At the very least the upward slope should be getting steeper. Just the opposite is happening, the SPX is slowing its advance and each points gain is now being achieved with greater effort. Just a bit of a reality check. upward acceleration is in progress ..
if i am wrong . I think it’s a special situation when you have a strong Minor 1 after the big decline in December. Remember Minor 3 doesn’t have to be the strongest wave, but not the weakest wave. As I wrote before Minor 3 is subdividing and so far we don’t know high it will go. Intermediate 1 has risen more than 20%, which is really good. We can expect new ATH in this IM 1. While the 4/9 retracement was indeed shallow, I could see a 3-3-5 flat (basis ES) into the 4/9 low. I am calling this micro 4, and see us currently in 3 of micro 5 (of iii), with a conservative target (no extended waves within micro 5) of around 2927 +/-. Comments welcome. I like how nobody seems to notice the classic “rising wedge” ending diagonal forming on all of the indexes, probably just jinxed it…..
…and the compression of the VIX suggests this….